Homeopathy has been used with a high degree of success in both the treatment and prevention of past epidemics of cholera – and there is no reason why it shouldn’t be equally successful in those yet to come. Part A of this article looks at the historical evidence for this safe, simple, and economical form of cholera treatment and prevention. Part B discusses remedies that have been frequently used in cholera prevention and treatment. With these words, medical assessor Dr MacLouchlin submitted his parliamentary report on the devastating cholera epidemic that killed more than 10,000 people as it swept through London in 1854. The records collected by Dr MacLouchlin showed that people were more likely to survive if they had been treated by homeopathy rather than with conventional (allopathic) medicine. Over 10,000 died during the epidemic. The death rate for those treated homeopathically was only 9% compared to 59.2% for those treated by allopathy. These results were astounding. They so embarrassed the Medical Council of the day that its members tried to suppress the information by omitting it from the report they submitted to parliament. Fortunately, one parliamentarian who had been treated homeopathically during the epidemic demanded that the full records be obtained. The Medical Council reluctantly obliged but submitted the homeopathic figures ina separate report so they wouldn’t be seen beside the orthodox ones. While the above story gives a fascinating glimpse into history, it was not the first time that homeopathy excelled at saving lives during a cholera epidemic. Other occasions will be discussed later in this article. But first, let’s refresh our memory about what cholera is and why it poses such a threat to a significant percentage of the world’s population. 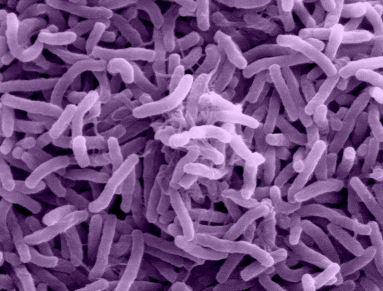 Cholera is a severe, infectious, diarrhoeal disease caused by the bacterium Vibrio cholerae. Spread through infected water and food, it is prevalent in many tropical countries. About 75% of people infected with cholera won’t develop symptoms, although the bacteria exists in their body and can be spread to other people. Individuals with lower immunity (due to malnutrition or HIV, for example) are particularly at risk of infection. If untreated, as many as one in two people may die. Cholera is characterized by profuse, watery diarrhoea with exhaustion, dehydration, muscle weakness, sunken eyes, coldness of body, cramps and a weak pulse. The disease incubates within the human body for 24-72 hours before symptoms develop, and may last for several days. An adult will normally produce several litres of diarrhoea during the course of the disease and death is usually from dehydration and kidney failure. It can kill a healthy adult in hours. Cholera is now endemic in the soil and water of many countries and the expectation of total eradication no longer exists. Poor sanitation and the absence of clean water are responsible for most of the outbreaks that occur today. Those who live in slums or refugee camps are especially at risk. Natural disasters that disrupt sanitation or water supplies and displace large numbers people also increase the risk of transmission. The World Health Organisation (WHO) states that cholera outbreaks have increased in recent years but that the true impact of this disease is hard to measure as under-reporting is high. It estimates that only a small proportion of cases – less than 10% – are ever reported. Homeopathy and Cholera: History Tells the Story. The first instance when homeopathy was used in the treatment and prevention of cholera was in 1831, when the Asiatic cholera that emerged in Russia swept into Europe. The mortality rate under conventional treatment, depending on the locality, ranged from 40 – 80%. Hahnemann, the founder of homeopathy, asked colleagues in the affected areas to describe the symptoms. From these he identified the most helpful remedies and distributed the information far and wide. Many thousands were saved from the full ravages of cholera as a result. Dr Roth, physician to the king of Bavaria, reported a mortality of 7% in those treated with homeopathy. Dr Wild from Austria reported an allopathic mortality of 66% compared to 33% with homeopathy. Admiral Mordoinow of the Imperial Russian Council reported a 10% mortality for those treated with homeopathy. Dr Quin, in England, reported a mortality of 9% from the ten homeopathic hospitals. Dr Bakody from Hungary reported that of the 154 patients he treated homeopathically, only six died whereas of the 1,500 treated allopathically, over half died. Similarly good results were reported by other homeopathic doctors. Results from later epidemics were equally impressive. In the 1849 cholera epidemic, John Drysdale, an Edinburgh graduate in medicine, recorded a mortality of 25% under homeopathic treatment, a figure significantly less than those treated allopathically. The report from the London Homeopathic Hospital during the 1854 outbreak revealed a mortality of 16.4% for those treated by homeopathy compared to 51.8% for the allopathic hospitals. Dr Frederick Quin is credited with having fully introduced homeopathy to Britain after experiencing its benefits first-hand in 1831 when he too was struck down with cholera in Moravia. He later wrote, “I owe my life to the Spirit of Camphor…” (ie., the remedy usually needed in the first stage of cholera). In the Hamburg epidemic of 1982, the homeopathic mortality was 15.5% compared to an allopathic mortality of 42%. We now know that cholera is an easily treated disease if fluid and electrolytes (salts) are replaced as quickly as lost from the diarrhoea and vomiting. Even with this knowledge though, homeopathy still has a valuable role to play. Cholera continues to be prevalent in third-world countries where the infrastructure or resources for treatment and prevention are limited, and poor living standards make people vulnerable. In Zimbabwe in late 2008 a new outbreak of cholera began. By June 2009 it had infected almost 100,000 people and killed over 4,000. With homeopathy’s ability to both treat and prevent cholera, the spread of disease and loss of life in this epidemic could have been minimised – if only people had known. Barnett, M. 1972. The 1832 Cholera Epidemic in York. Medical History, London, Jan.1972. Bradford, T. L., 1900. The Logic of Figures or Comparative Results of Homeopathic and Other Treatments. Boericke and Tafel. Clarke, J. H., 1990 . Cholera, Diarrhoea and Dysentery; Homeopathic Prevention and Cure. B.Jain Publ., New Delhi.